This all purpose jacket can be worn for work and play. It is suitable as on-the-job work wear, team wear, and cold weather activities. The heavy sweatshirt lining provides extra warmth and softness against the face and neck. 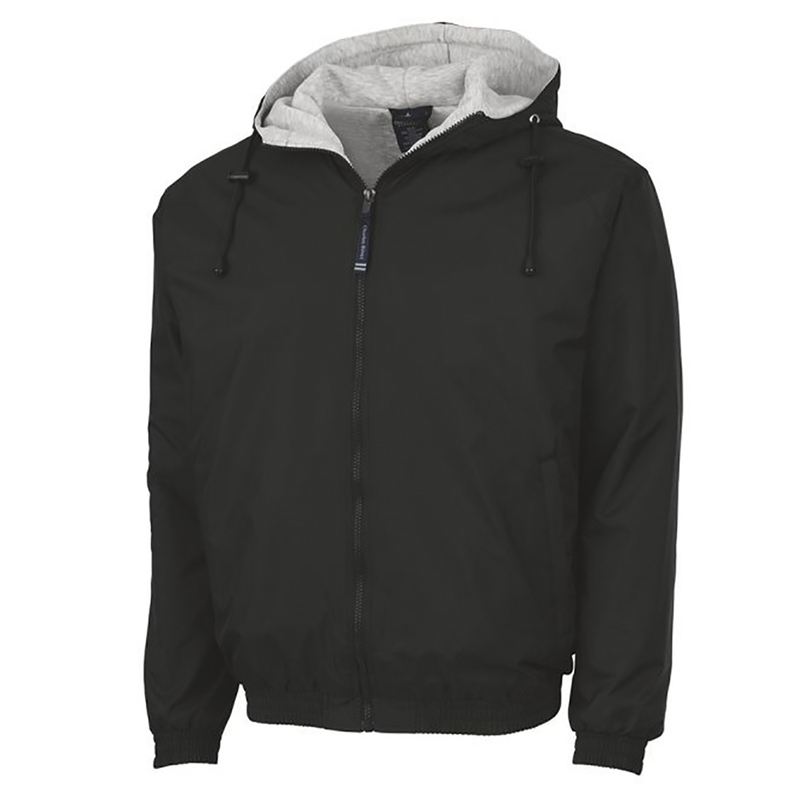 The full-coverage hood allows for easy fit over sports or work gear and the side pockets zipper upward to close, protecting contents form inadvertently falling out. Wind & water-resistant 100% River Tec Nylon Taffeta. Heavyweight ash grey Poly/rayon/cotton blend sweatshirt fleece lining provides extra warmth. Zippered side pockets and elasticized cuffs & waistband. Machine washable in cold water. Hang Dry.